Place an object in a bag and have children identify it to develop sensory skills. 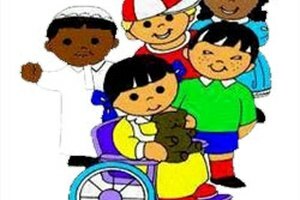 Special education involves teaching children with special needs, such as learning and communication difficulties, behavioral disorders as well as physical or developmental disabilities. These types of needs require a different approach to teaching so that the children can reach their full potential. Circle time is a popular method of group teaching for children with special needs. Since children thrive on organization and structure, it is important that circle time take place at the same time each day in a particular area. At the beginning of each session, there should be a warm up activity to get the children involved and excited about circle time. 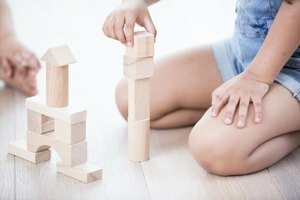 Since special education children are more comfortable with activities they are familiar with, it is wise to start out with a similar activity each day. Singing a song, as a group, to open up, discussing the day's weather or talking about what each child had for breakfast are simple ways to get children's minds going. If the children are having a restless day, some simple breathing techniques and relaxation exercises may be a way to calm the children and ease them into circle time. 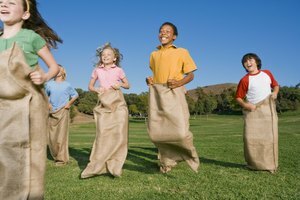 Physical activities are especially helpful with children who are behind in their motor skills development. Physical activities include throwing and catching a ball, passing an object around and even dancing to a song. Many special education children find it difficult to interact with other kids. Social activities that require children to interact with each other will help them cultivate self-sufficiency in a usually uncomfortable situation and enable them to be successful in dealing with social environments. Have children role-play, pretending to order food or drinks at a restaurant and saying please and thank you. Playing interactive games, such as follow the leader, hangman, I spy and word association, keeps everyone involved. Children can take time getting to know each other by mentioning certain activities they enjoy or things they know how to do. Sensory activities focus on using and developing the five senses. Children with sensory integration dysfunction can progress with regular stimulation of their senses. Sensory activities include finger-painting, sculpting with clay, listening to a song or story, or observing pictures and talking about them. 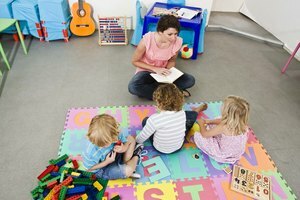 Education Resources Information Center: Three Keys for Successful Circle Time -- Responding to Children with Diverse Abilities. Zeisberg, Victoria. "Circle Time Activities for a Special Education Classroom." Synonym, https://classroom.synonym.com/circle-activities-special-education-classroom-7942534.html. Accessed 18 April 2019.